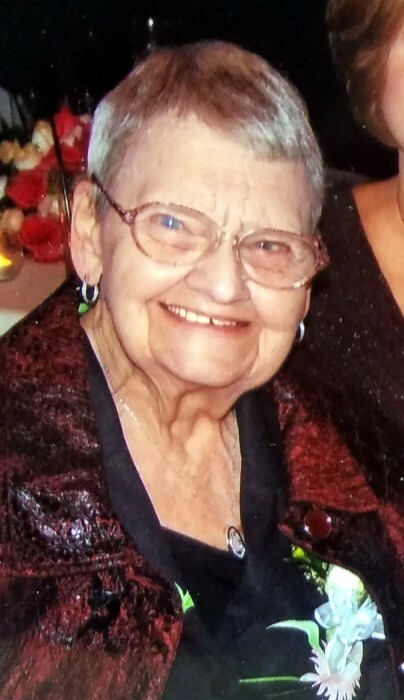 Obituary for Mary Margaret Mauch | Ralph Meyer & Deters Funeral Home, Inc.
Mary Margaret Mauch (nee Siever), beloved wife of the late Herbert E. Mauch. Devoted mother of Margaret M. (Hal) Withers of Cincinnati. Loving grandmother of Jennifer (Lou) Nie, Steven Withers, Robyn (Tim) Kern and Kasey (Laith) Ibrahim, all of Cincinnati great grandchildren Olivia, Dylan, Lily, Allison, L.J., Nick, Maggie, Ava, Noah, Sophie, Michael, Kennedy and Reagan. Mrs. Mauch worked for many years at the Warsaw Avenue IGA and Schrage's IGA on West Eighth Street. Saturday, March 23, 2019 after a brief illness, age 88. Visitation Wednesday, March 27, 9:00AM to 10:00AM at Ralph Meyer & Deters Funeral Home, 4164 W. 8th Street, Price Hill. Mass of Christian Burial to follow at 10:30AM at St. Lawrence Church, 3680 Warsaw Avenue, Price Hill. Interment St. Joseph New Cemetery, 4500 Foley Road, 45238. Memorials may be directed to Hospice of Cincinnati P.O. Box 633597, Cincinnati, OH 45263-3597.